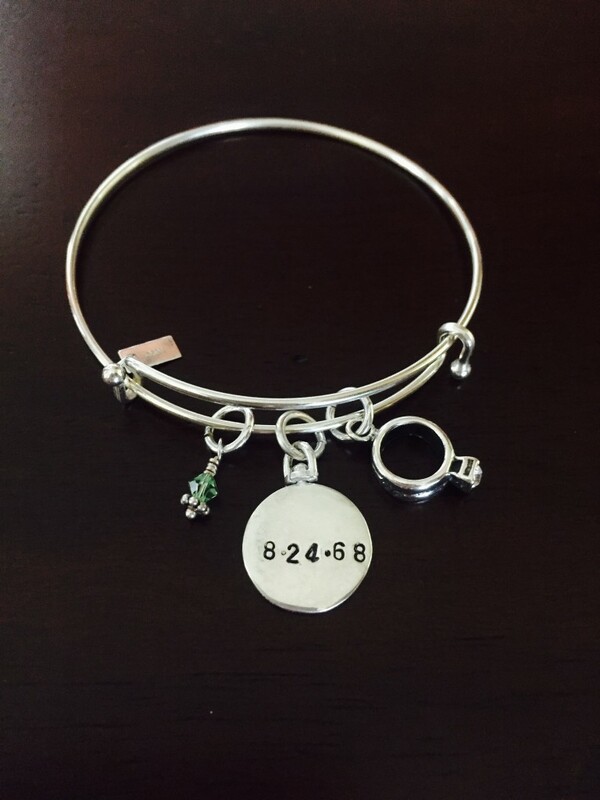 We just love how this personalized anniversary bracelet gift turned out, so we decided to take a picture and make it available on our website! The Sterling Silver expandable bangle bracelet makes a meaningful Wedding or Anniversary gift to cherish for years to come. The personalized, two-sided circle charm is hand stamped with your monogram and wedding date and joined by a wedding ring charm and Swarovski crystal dangle to represent your wedding month. The bracelet looks great worn by itself or stacked with other bangles to represent the special people and experiences in your life. 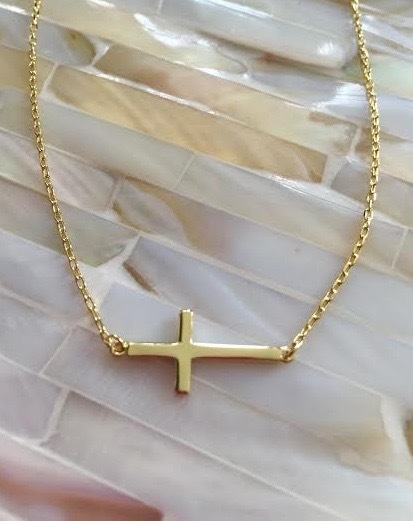 After launching our Gold Collection in March 2015 with hand stamped, personalized initial necklace, we are pleased to expand the line to include a Gold Sideways Cross Necklace. 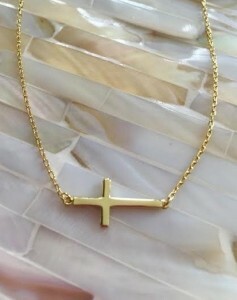 This gold sideways cross necklace looks great worn alone or layered with other necklaces. And the best part is it’s simple enough for everyday wear and makes a great jewelry gift to express your Christian faith. 17″ chain + 2″ extender. SHOP THE GOLD COLLECTION TODAY! Our 25% off Back to School SALE has gone so well, that we decided to extend it a few more days! 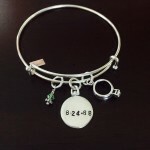 Shop K&S Impressions now and save 25% on all hand stamped jewelry and accessories. Be sure to check out our new lines of hand stamped stackable rings, couples jewelry, push presents, gifts for your athlete and more! Sale Ends 8/28 – Enter code: School2015 – FREE SHIPPING on orders over $75. Love Knot Bracelet Makes Great Couples Jewelry Gifts. This sterling silver two-tone Love Knot Bangle Bracelet symbolizes love, friendship and affection, appropriate for couples, mothers, daughters and friends. Love knot jewelry makes a meaningful gift for your wedding day or engagement to express your love and commitment as you start to live together and share happiness. 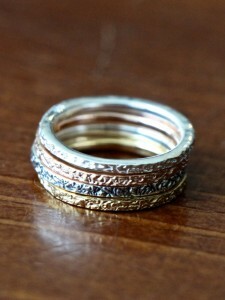 Crafted in 14k gold and rhodium plated Sterling Silver. Bracelet features a love knot hook closure. Approximate diameter is 2-1/4 inches. 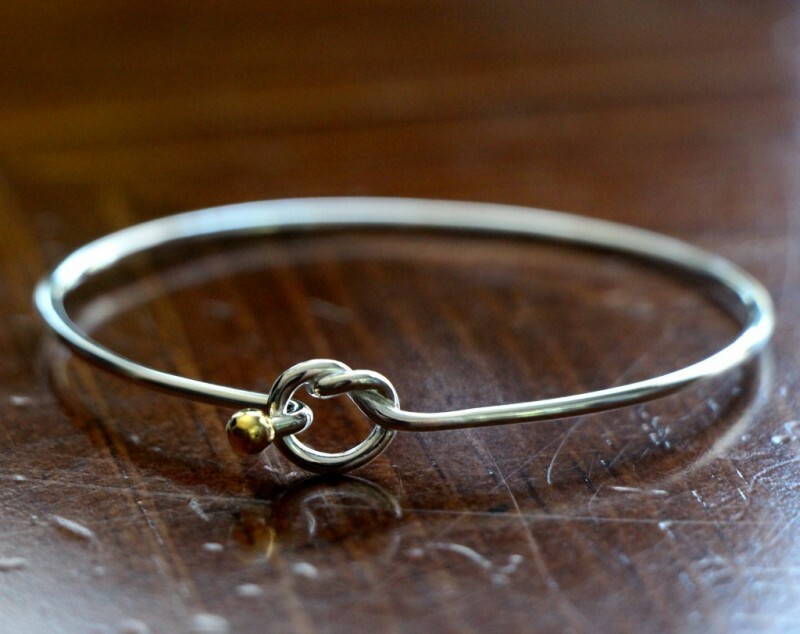 Shop the Love Knot Bangle Bracelet today! SHOP THE COMPLETE GOLD JEWELRY COLLECTION TODAY! Save 25% at K&S Impressions during their Back to School Sale on sterling silver and gold hand stamped jewelry. 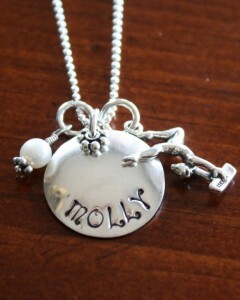 Shop our store wide sale on personalized charms, name necklaces, charm bracelets, hand stamped rings and key chains. 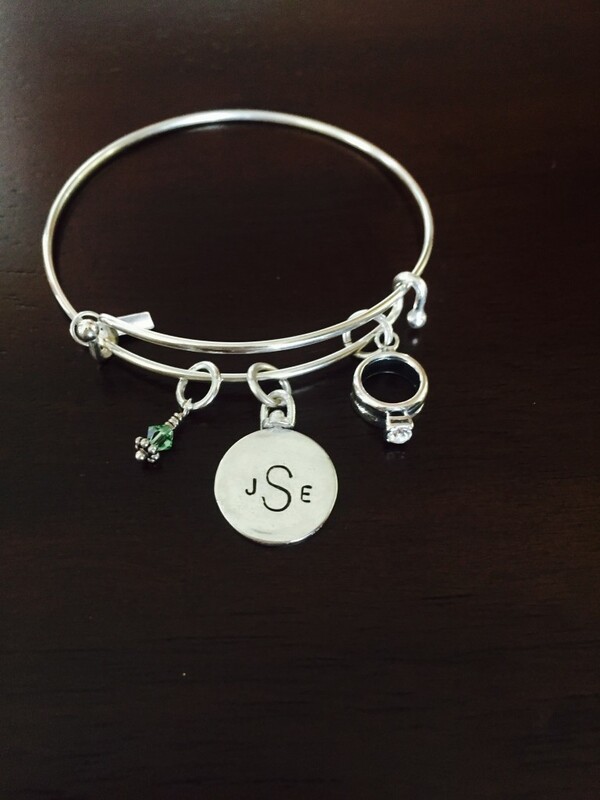 Customize with names, initials, special dates or inspirational phrase and create a keepsake jewelry gift to cherish a lifetime. Take 25% off all orders - enter code School2015 – Ends 8/24/15. 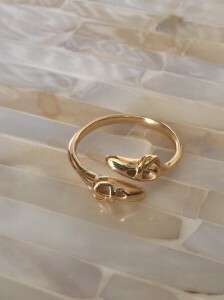 K&S Impressions is pleased to expand our line of dance jewelry gifts with this adorable Gold Ballet Shoes Ring. The sterling silver ring is gold plated and features an adjustable band accented with two ballet shoes. Ballet dancers will love wearing this ring to express their love for dance, so order a gift today for yourself, favorite ballerina or Dance Teacher. Be sure to check out a few of our best sellers for dancers in sterling silver. 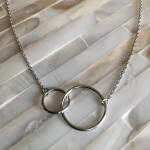 K&S Impressions is pleased to share our NEW Eternity Circle Necklaces in Gold and Sterling Silver. 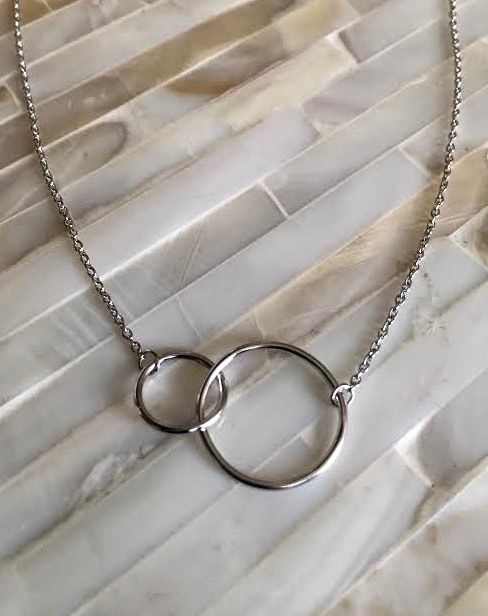 Eternity Circle Necklaces symbolize never ending love and friendship, making them a perfect gift for someone special in your life. The sterling silver necklace is plated in 14k gold or rhodium and features a lobster clasp. The symbolic interlocking circles measure 16mm and 10mm to represent the never ending love between a Mother and Daughter, Sisters, Couple, Friends or Twins. Shop the Gold Eternity Circle Necklace or Silver Eternity Circle Necklace today! K&S Impressions is excited to add the sterling silver “I Love Gymnastics” Ring to our sports jewelry collection. It looks great worn alone or paired with our Gymnasts Personalized Necklace hand stamped with her name, date or custom phrase. 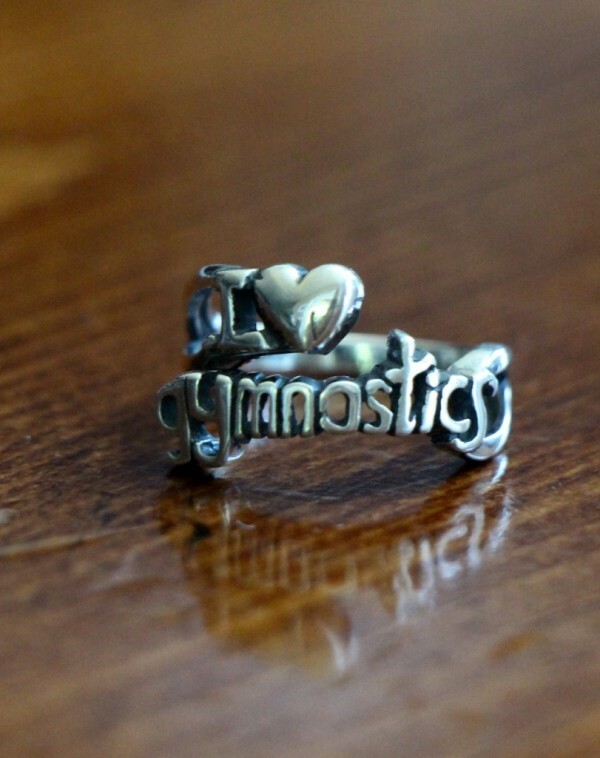 This sterling silver ring features an adjustable band and is accented with “I love gymnastics.” Gymnasts will love wearing this ring to express their love for their favorite sport and makes a great gift for yourself, favorite gymnast or Gymnastics Coach. This personalized Blessed Adoption Necklace celebrates the strength, patience and love for the wonderful people involved in the adoption or surrogacy journey to result in a very wanted new life. It has become a popular jewelry gift for a new mom to celebrate how blessed she is after patiently waiting for the baby’s arrival. The sterling silver necklace is hand stamped with names, birth dates and meaningful words. 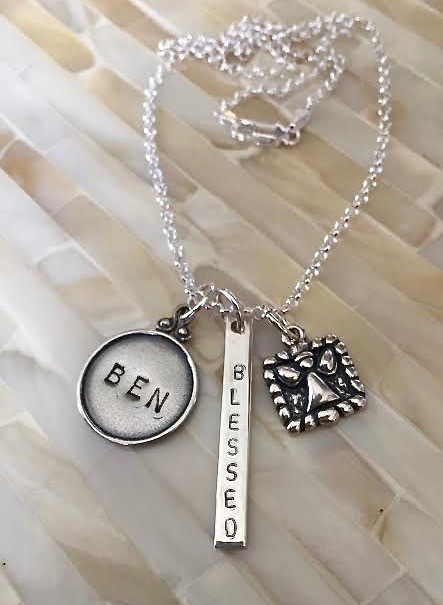 Bar Charm – is personalized with “Blessed” or customized with a name or birthdate up to nine letters. 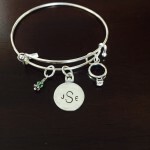 Personalized Raised Rim Circle Charm – personalize with a monogram, name or birth date up to seven characters. Framed Guardian Angel Charm – to bring peace, goodness, protection and comfort into their life. SHOP THE SURROGACY & ADOPTION JEWELRY COLLECTION TODAY!